December 2, 2016, 9 a.m. – 10:30 a.m.
Every new firm must find a means of creating value. Increasing numbers of them are doing so by enrolling unpaid outside actors in value co-creation. This paper inductively develops new theory about the consequences for new firms of relying on such value co-creation from inception. Through an in-depth, qualitative, study of Twitter, we theorize that co-creation intensity (the extent to which diverse external actors are empowered to co engage in value co-creation) increases the likelihood that an emerging firm will experience scope expansion (a proliferation of value propositions and infrastructure requirements). Co-creation intensity, together with scope expansion, in turn precipitates stakeholder ambivalence, which entails both stakeholder uncertainty about the category to which the new firm belongs and mixed reactions to engagement with it. These theoretical insights extend the literatures on opportunity creation by new ventures, and on value co-creation. They also offer practical insights for new firms endeavouring to establish viable business models. 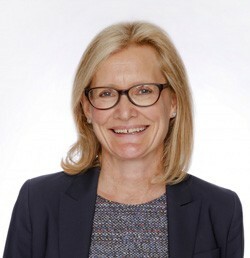 Eileen Fischer is Professor Marketing and the Max and Anne Tanenbaum Chair in Entrepreneurship and Family Enterprise at the Schulich School of Business and honorary visiting professor at the Cass Business School in London, UK. She is a co-editor of the Journal of Consumer Research. Her research in the field of entrepreneurship is concerned with customer, marketing, and market factors that affect firm performance. For example, she has studied how customer characteristics affect firm strategy, the processes by which new firms form reputations, and the implications of internet-enabled markets for internationalization by entrepreneurial firms. She also conducts research in the field of consumer behavior.